As news of the complete devastation across the island of Puerto Rico is released, I find myself incessantly hitting refresh on my Internet browser. With each click, my emotions and tears overwhelm me. A deep feeling of desperation follows. This has become an unintentional daily ritual since “natural disaster” Hurricane Maria struck the island. As 3.4 million Boricuas on the island are working to survive in the midst of a humanitarian crisis, over 5 million Boricuas across the Diaspora wait to hear from family and friends, while trying to simultaneously figure out how we can be the most helpful. Many have identified three specific ways to help the island progress. 1. Donating towards humanitarian efforts. 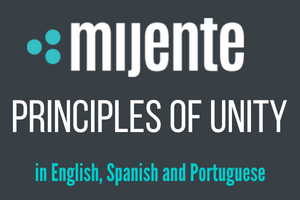 We trust and highly recommend giving to these grassroots organizations on the island: AgitArte, Defend Puerto Rico and CEPA. 2. Calling for the elimination of the exploitive debt that strangles the Island. 3. Organizing and fighting for a full repeal of the Jones Act. Meanwhile, we are willingly or unwillingly participating in a collective mourning, a grieving of what has been lost. 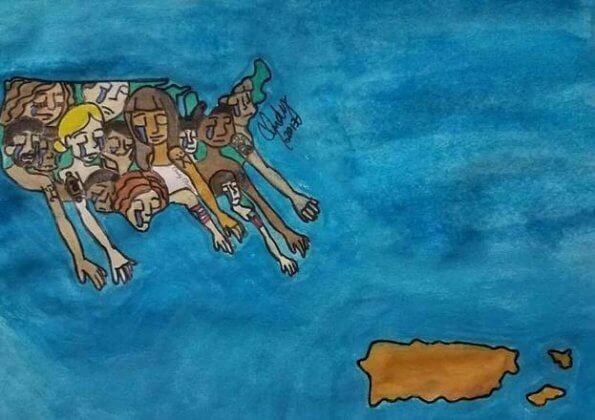 Deep down, we know that Puerto Rico and its people will never be the same again. In the midst of all this hardship, empires twitter happy, white supremacist, misogynist, colonizer-in-chief managed to attack San Juan’s Mayor Carmen Yulin Cruz from his golf course. Eventually making it to the island two weeks after the hurricane first hit, where hecontinued to insult the Puerto Rican people by insisting that they were not experiencing a “real catastrophe”. Many Boricuas on the island and in the Diaspora are engaged. They are asking questions, the whys and hows, and many are immersed in the work. The multitude of challenges Puerto Rico faces today are symptomatic of the ongoing theft of the island’s resources, a neglected infrastructure, and widespread poverty. What is happening today is a direct result of 500 plus years of colonization. What is happening today is a direct result of the Jones Act of 1917. What is happening today in Puerto Rico is a direct result of the exploitative economic policies forced upon the island. 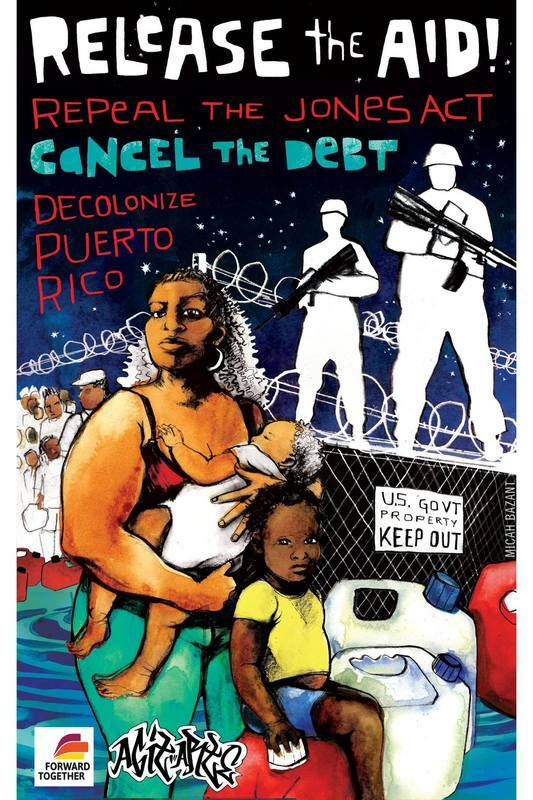 In the following essay, my brother, a Public Defender and community activist, Ricardo Arroyo-Montano, makes the clear connection between the policies and actions of the past and the continued colonization of Puerto Rico. Mass corporate media coverage would have us believe this is all happening in a vacuum, that this disaster and its effects are only about this hurricane. We hope that this piece can serve as a resource for those who are interested in learning more about Puerto Rico and its deep history of resistance. In the midst of the devastation, I remember the words of Sufi poet and mystic, Rumi, “the wound is where the light enters.” Puerto Rico has suffered at the hands of U.S. imperialism and capitalist greed long before Hurricane Maria appeared on the forecast. I am not sure that any work on the decolonization of American Empire could be successful if it ignores the plight of Puerto Rico. While we grieve and rebuild, we must pursue radical hope and LOVE. We must prioritize healing justice as we find a way to build bridges between Boricuas on the island and Boricuas on the continental United States. We must radically imagine a new way forward. The diaspora must be engaged in the process. I have faith that another world is possible. “The most serious blow suffered by the colonized is being removed from history and from the community. Colonization usurps any free role in either war or peace, every decision contributing to his destiny and that of the world, and all cultural and social responsibility.” -Albert Memmi. Read the Full Article to learn about Puerto Rico’s colonial history with the US. “For a colonized people the most essential value, because the most concrete, is first and foremost the land: the land which will bring them bread and, above all, dignity.” -Frantz Fanon. Click Here for the Full Article and Share.